Montana’s first-ever psychiatry residency program. An intimate training experience, with three residents per year, or a total of twelve residents across all four years. Residents spend PGY-1 and PGY-2 in Seattle, WA and complete PGY-3 and PGY-4 at the Billings Clinic in Montana. Billings, Montana hosts two other medical residencies, including an internal medicine residency at the Billings Clinic and a family medicine residency at RiverStone Health, a local community health center. In 2016, Outside Magazine ranked Billings, MT as the #1 “Best Place to Live”. Our purpose is to promote health and recovery among individuals with mental illnesses and substance use disorders by treating every patient and every colleague with empathy and dignity, while fostering a safe and supportive environment in which we come together to teach, learn, and deliver outstanding psychiatric care. All clinical sites in Billings are walking distance from one another. Yes…walking distance. 44 inpatient psychiatric beds, with about 1/3 dedicated to youth aged 5-17 years and 2/3 dedicated to adults. Up to 25 patients served in our youth partial hospitalization program. The state’s largest outpatient psychiatric practice. The state’s most comprehensive behavioral health team, including 12 psychiatrists, 5 nurse practitioners, and 1 physician assistant. Project ECHO Billings Clinic, with 5 active clinics providing tele-mentoring and teaching support across the state. Montana’s first emPATH Unit, aka. “emergency psychiatric assessment, treatment, and healing unit”, a specialized observation unit designed to reduce ED waiting times and deliver high quality acute psychiatric are. Billings Clinic is the hub of the Eastern Montana Telemedicine Network, one of the country’s first providers of telepsychiatry services. The Billings Clinic has been providing telepsychiatry services since 1993. Billings Clinic introduced the Collaborative Care Model, the gold standard for integrated behavioral health, in 2017 as part of CPC+, a prestigious CMS funding initiative. Interventional psychiatry, including ECT and triple chronotherapy. 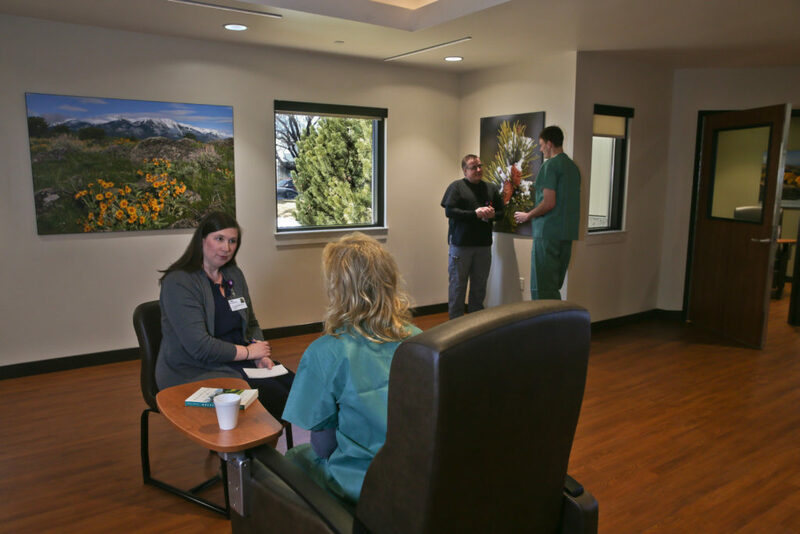 Early Psychosis Intervention Clinic, or EPIC Montana, a state-funded initiative led by the Billings Clinic to provide treatment to patients with early onset psychosis. Psychiatric Urgent Care Clinic, an outpatient service that provides access to psychiatric assessment and treatment services within 24 hours. Experiences in leadership, policymaking, and systems change initiatives.